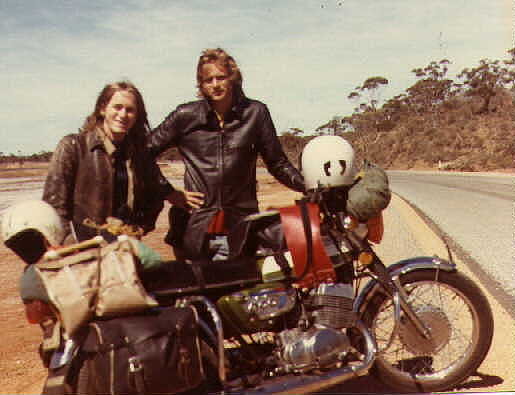 Riders: Carl Verrier on red ’72 T500J, Murray Barnard on green ’72 T500J. 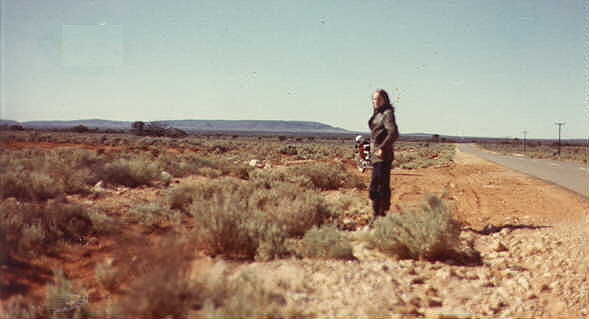 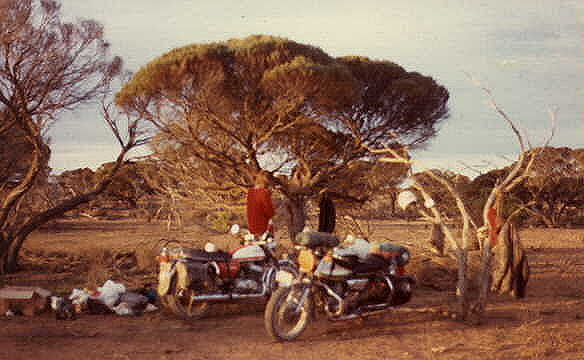 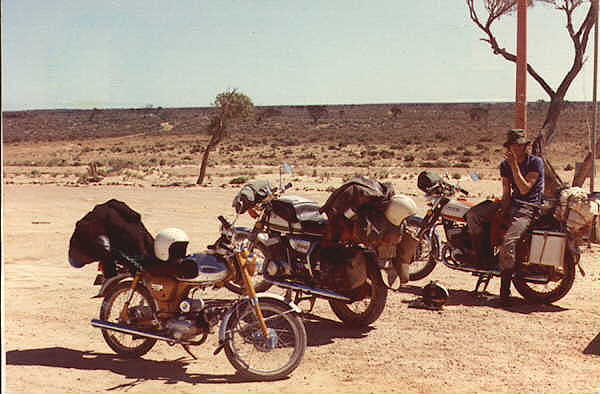 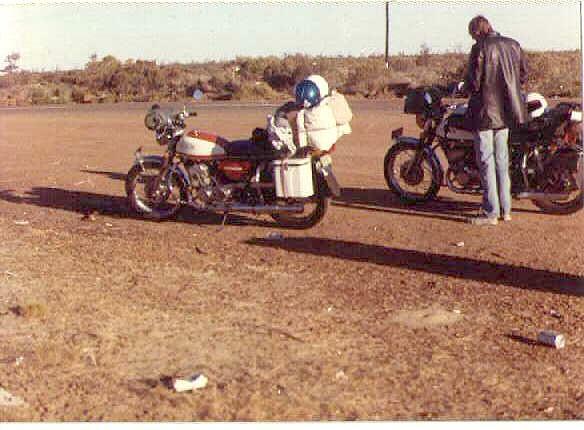 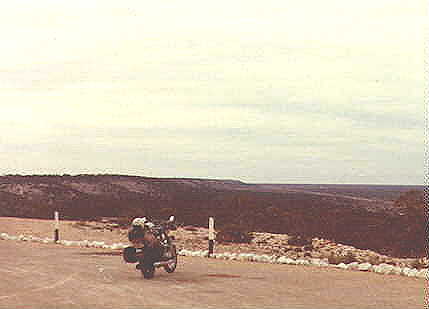 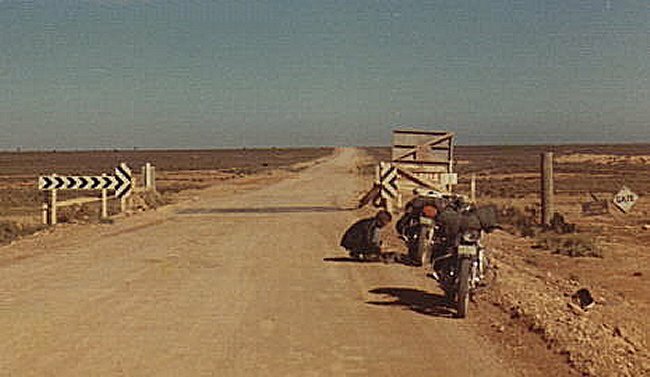 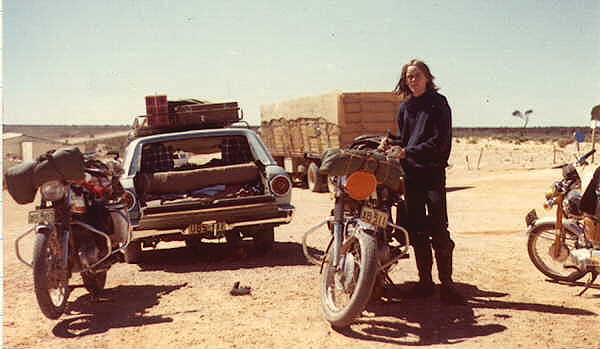 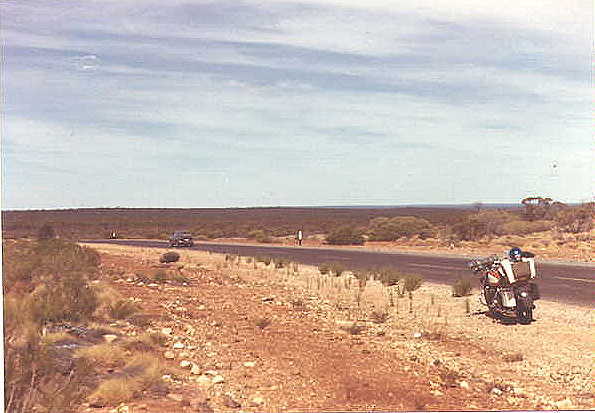 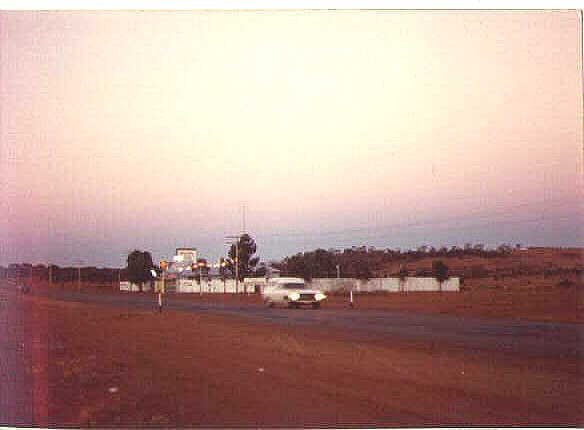 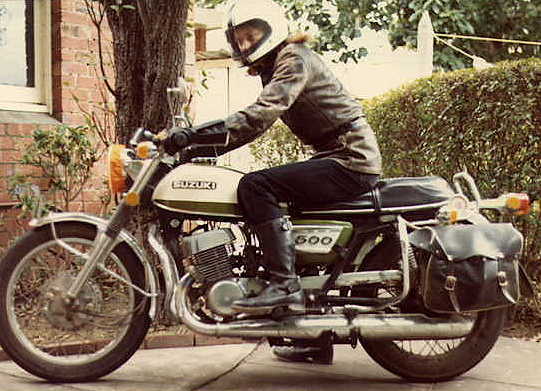 The mighty T500s survived 265 miles of unsealed road on the remote Nullarbor Plain but the trip to the Easter Bathurst races was doomed..
Murray fell off in Melbournes and suffered severe gravel rash to the back, shoulder, arm, head and hands, requiring stitches in an elbow wound. 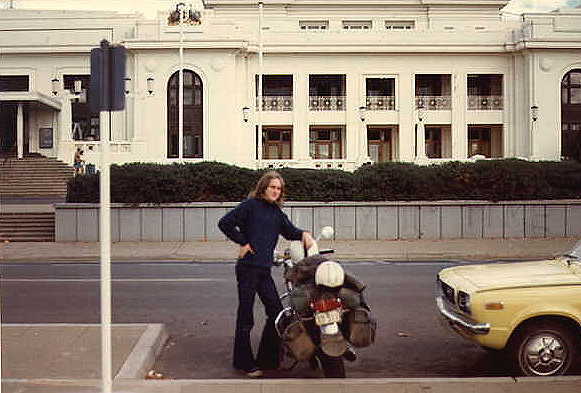 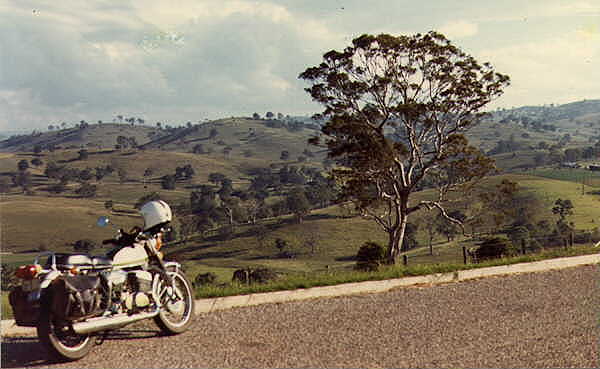 Worse was to come at the Snowy River, Carl crashed his bike at high speed, his passenger suffering head injuries and Carl a serious compound fracture to his leg. 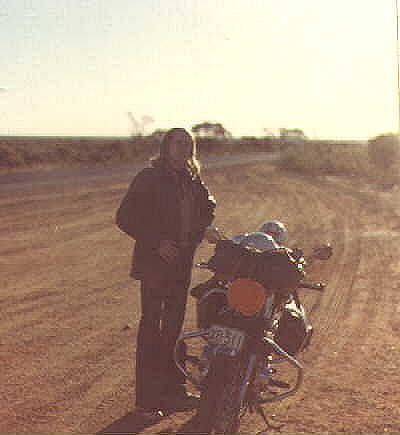 Carl was to spend 18 months in and out of hospital. 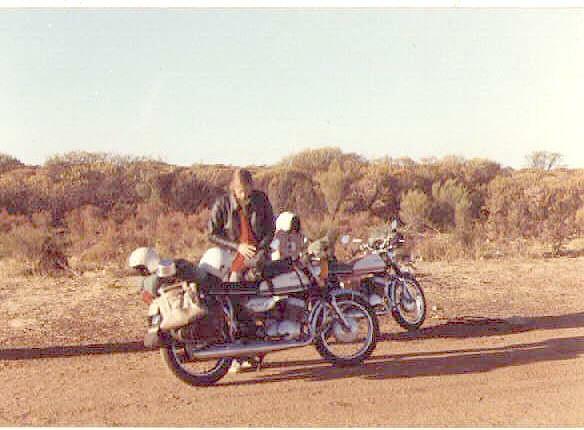 A sad ending to a big adventure.